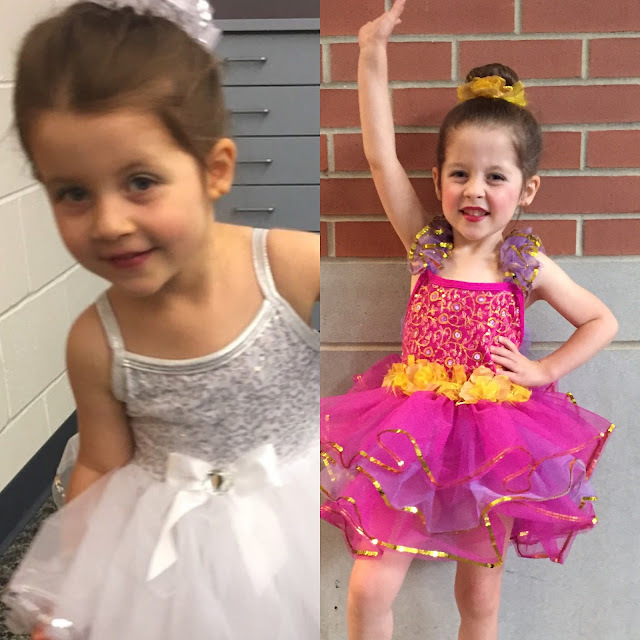 Another year of dance is finished! 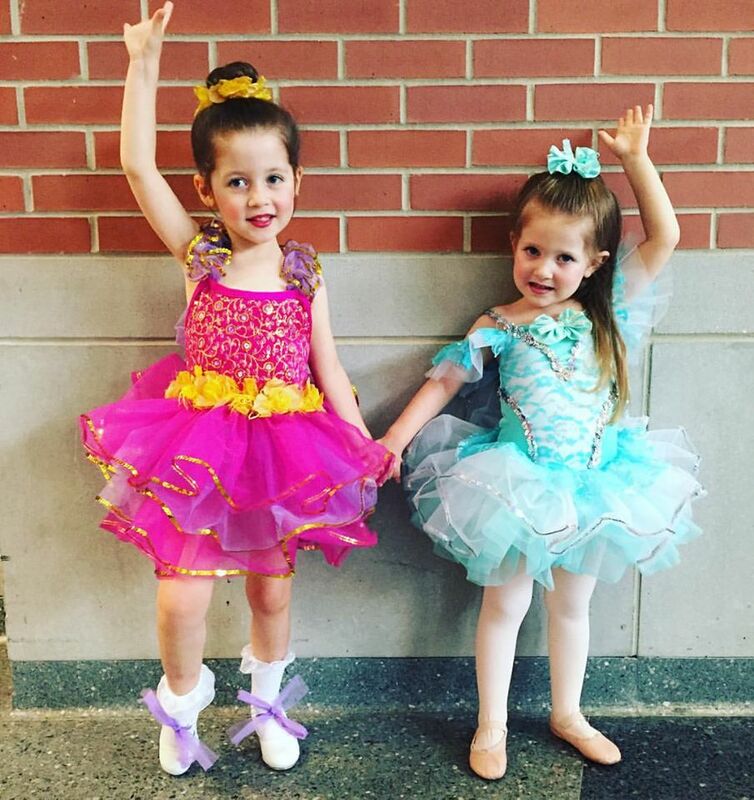 This was Lacie's second dance recital and Blakely's first dance recital! I was so proud of them - they both lit up that stage! They smiled, hit their steps, sang, and had so much fun! 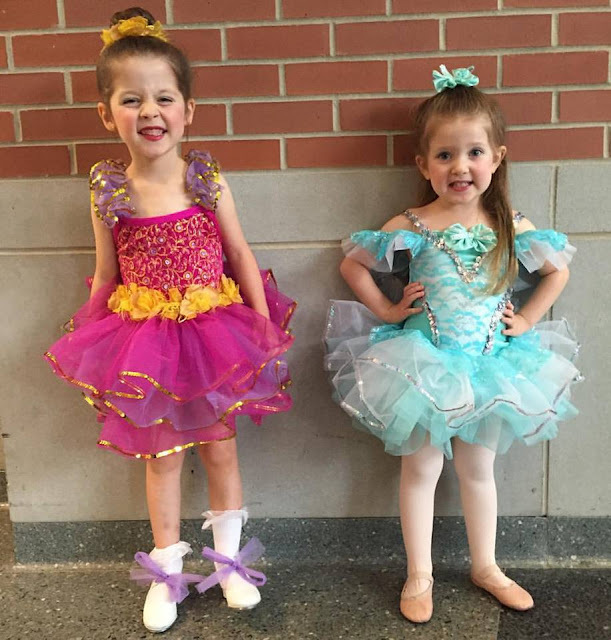 No butterflies for the Hilosky Girls - they loved the spotlight! 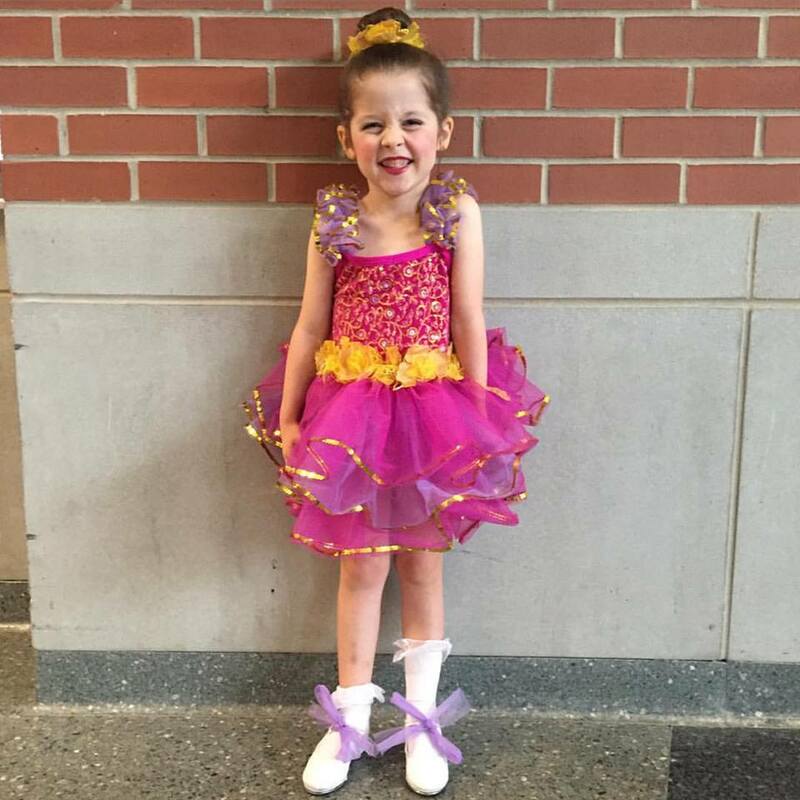 Lacie did a Tap Dance number to "The Good Ship Lollipop!" And it was as cute as it sounds! You can watch her dance on my You Tube channel by clicking HERE! Blakely did a Ballet dance to the Amazing Tot - which is fitting because her class is called the Tiny Tots! Then they did a little dance called "Hands on Your Knees" which Lacie also did last year! 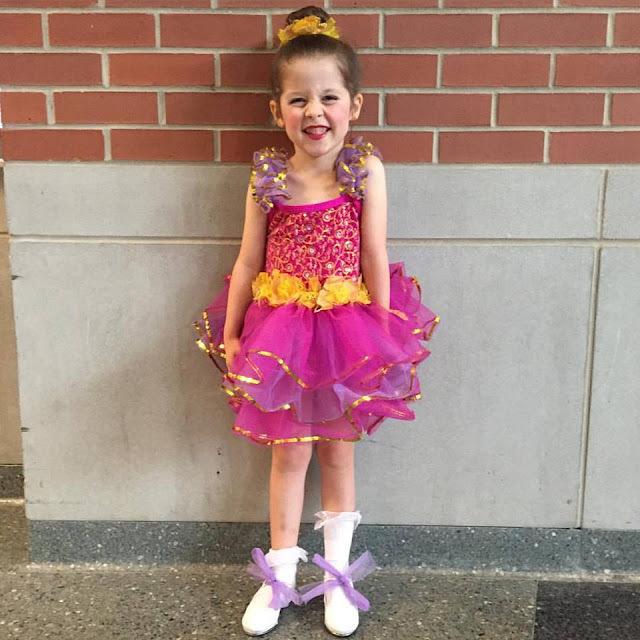 You can watch her dance HERE! 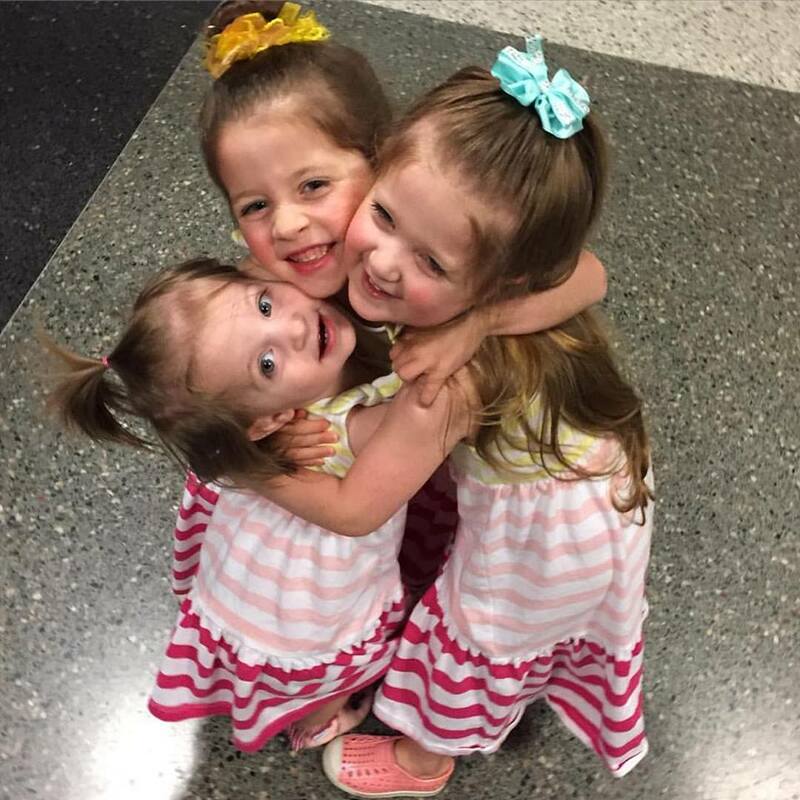 Paisley magically made it through the first act and was so excited to give her sisters a big hug! I can't wait until she's up on that stage too! 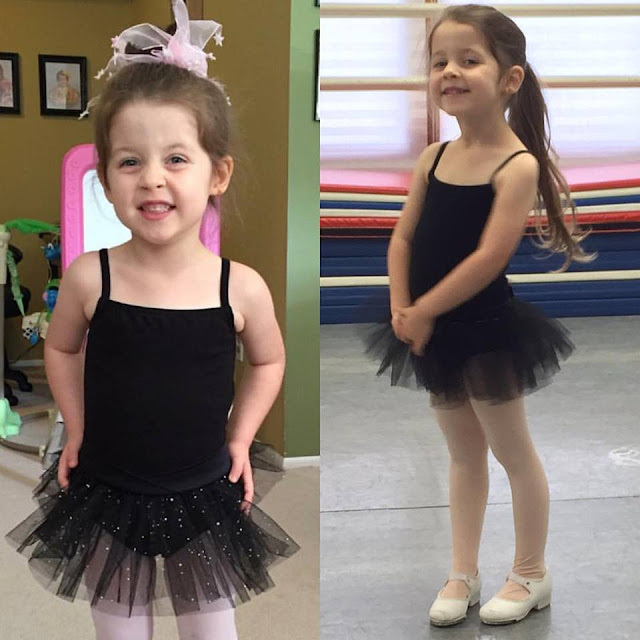 And Just for fun here's a look back at Lacie from her first day of dance this September to her last class in June! 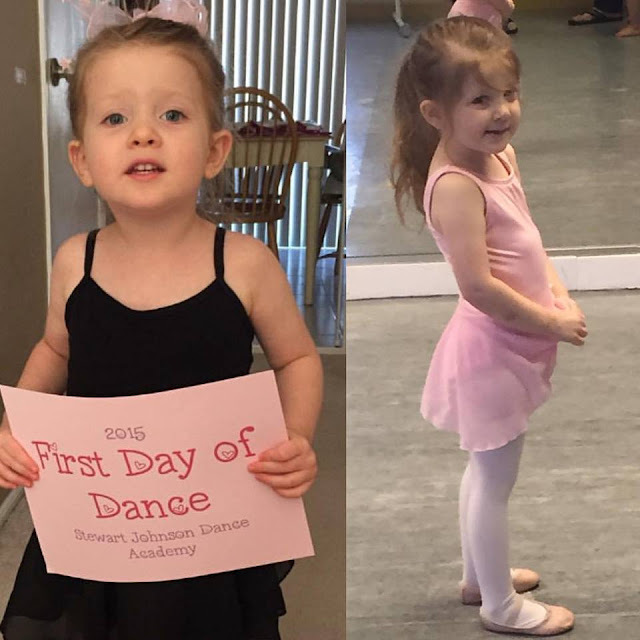 And Blakely's First and Last Day of Dance Class! And this is what Lacie looks like from last June versus this June! 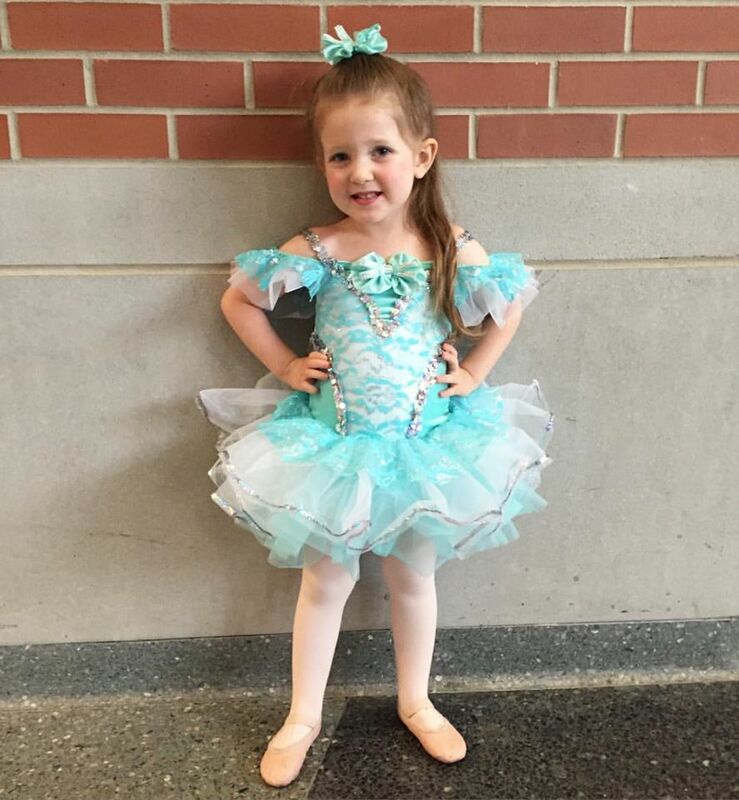 Mommy Mondays: Paisley Jean is 18 Months Old!